What will be the next question Spidey fans. When we visit our churches we are suppose to leave by a different door than the one we came in through, why? Something like this. I know he wants to pull his hair, who wouldn’t? Spoiler alert: Don’t change that dial Doctor Doom! Before we begin I’d like to thank all my readers for their continued patronage. I did not make God’s rules, I simple report on insights provided by revelation. Neither I nor my post are infallible and should therefore be scrutinized appropriately. Second Timothy 2:15 says, “Study to show thyself approved unto God…” So, please leave comments or criticisms should you find discrepancies – theologically speaking anywhere within my posts. Be aware, no one (not one person) who is not currently saved will receive salvation once the Great Consummation has begun. Only after the Great Consummation has concluded will Jesus offer salvation to the nation of Israel, offering each Israelite the glorious gift of salvation through His shed blood (Romans 11:24–29). The salvation message offered to Israel at this time will be formed under the same sacrifices, rules, and guidelines as that offered to Christendom. God’s Word declares there is no other name under heaven given by which all must be saved. That name is Jesus, the only begotten Son of God! No one pours “new wine” into old wineskins (you know the wine-bottles of yesteryear). Because when they do, the “new wine” will burst the wineskins; the wine will spill out and the wineskins will be ruined. Guess what, you are the wineskin. The “New Wine” is the Word of God formed, prepared and fermented for this – today’s – generation. The New Wine applies to “that” movement of God which is being developed during your lifetime and this new “Work” the Lord is doing to fulfill His purposes for this new “Season, Stage or Generation” of God’s program for humanity. The “Old Wine” is the Word of God given during that previous application of God’s purposes and plans which were developed during that previous “Work or dispensation of God” when the Lord was creating and accomplishing His purposes at that “Time, Season or Stage” of God’s program for humanity. The Old Wine does not represent an obsolete portion of God’s plan for the world any-more-than the foundation of a house is rendered obsolete by its walls or the walls become obsolete by virtue of the roof. Each successive generation is built upon the solid foundations of the previous (Isaiah 28:9-11). God is doing a new work with a new revelation for this last generation of the Latter Days. Sixty-eight years ago the world entered the Latter Days and most recently entered the Beginning of Sorrows mentioned in two of the four gospels. We are living in a new “Season” of God’s plan for the world and His people. As such, God has prepared a new message for this new – last generation at the end of the Time of the Gentiles (also known as the Church Age). Many individual Christians from the previous generation will not be able to receive the “New Wine.” It cannot be integrated into their walks with God! This is not because of their lack of desire, but rather, simply because they are not prepared or able to receive the “New Wine” and their “wineskins” or spiritual walk with God cannot transition to the new or arduous concepts within the new revelation. “No one pours new wine into old wineskins. Otherwise, the new wine will burst the skins; the wine will run out and the wineskins will be ruined. No, new wine must be poured into new wineskins. This is why so many in what we consider that “Old-Time Religion,” the previous generation, hated hearing people speaking in Tongues, playing drums in church or the idea of modern music of this current age in which we live. I’m not saying anything goes; in fact, I will be saying exactly the opposite shortly. This Side of the Whirlwind brings the New Wine for this final generation living at the end of the Latter Days. God provided this new message of prophetic information to help prepare the Latter Days generation for the arduous journey ahead and the Storm which will wash the Body of Christ out from among the lukewarm and secular world. The Body of Christ needs the message found in This Side of the Whirlwind. On January 17th 2001 as I read God’s Word the Lord revealed a mystery about my life. For years I had wondered why I hadn’t possessed a vision for a future ministry. With all the Lord had shown me in the lives of so many others, why hadn’t the Lord revealed at least a small element to a life of ministry in my future? Then one day the Lord explained about the new wine in old wine skins and how not sewing new clothe into an old garments applied to my life. The Lord said it was not time to impart the revelation which would change mine and the world’s perception of salvation and a relationship with God and Jesus Christ during this Latter Days generation. The Lord said He had not, up till now and would not for some time to come give me the vision for this generation because I was not yet ready or prepared to receive His revelation. I was still steeped in the Old Wine and remained an old wineskin for the moment. He then presented the concept that He was about to work and shape and remake me into a more pliable wineskin so that I would be able to receive the “New Wine” and message for these Last Days. The revelation within This Side of the Whirlwind encompasses that “New Wine” message along with a new way of looking at our walks with God and our responsibilities during this coming age of the Great Consummation. As Israel was filled with the Old Wine found in the Laws of Moses and books of the Prophets the majority of the people of Israel could not receive Jesus, the New Wine, as the salvation for Israel and its people. They just could not internalize Jesus as Messiah and Christ. This was purposed in God’s plan (Isaiah 35:1-10). Fulfillment of prophecy is one of the reasons the Israelites could not see Jesus as Lord and Messiah at that time (Isaiah 44:18 and Daniel 12:4-11). Jesus is the Lamb of God and New Wine for the generations of Man between Christ living in the flesh and the end of all time. The New Wine the Lord brings to this generation at the end of the Latter Days is one which continues to include the potential loss of salvation for those Believers who do not endure to the end (Matthew 10:22; 24:13 & Mark 13:13); however, the difference is that the loss of salvation will be much easier and more likely with the coming of The Beast and his pernicious “Mark” (Revelation 14:9-11). Christianity for many centuries has operated under the misguided idea God is all merciful all the time and ever forgiving every infraction and craven human act even for the truly uncommitted Christian. According to this ill-advised loose and foolish doctrine Believers suppose their actions or lack thereof cannot cost them their salvation. Though this is not Biblical and was not the case then (since the time of Christ) it is definitely not the case during the Great Consummation. We’ll discuss these potential dangers more closely in the next post. This post will be a bit more serious than many of my previous blogs so strap in for a little different read/ride. One prophetic benchmark found in “This Side of the Whirlwind” pages 224-238 was the technology for the Mark of the Beast current and in place. It arrived in part last year. As has been generally covered in the series, “This Side of the Whirlwind: Reject the Tech,” the “Mark” is currently being employed and embraced throughout the world. The Mark’s network can be found via the World-Wide-Web through systems like the EMS Payment System; even as in Sweden, Swedish volunteers are receiving the technology through work related environments as well as through Corporations and private novelty companies. In both Europe and the United States individuals are readily installing the new bio-tech implants professionally and through self-implantation. The technology as a whole is being implemented and put through the paces via grocery-stores, the general market place and financial institutions worldwide. Today’s current prophetic evolution can be seen in the assembly of two significant coalitions. The first coalition is being formed at this time across the Middle East as Russia, Iran, Iraq, Turkey, Syria and many more nations are growing into the Kingdom of the North. A third prophetic component discussed in “This Side of the Whirlwind” pages 125-126 potentially evolves as Temple advocates petition and push for the Israeli government to rebuild Israel’s Temple on the Temple Mount in Jerusalem ASAP! This is in the wake of pro-Arab factions pushing for seizing the Temple Mount as Arab domain. 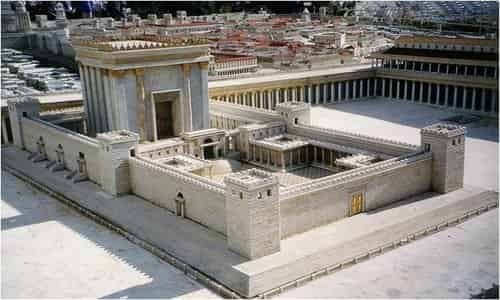 At this very moment advocates are sending money and resources to quicken and further the rebuilding of the Jewish Temple on the Temple Mount. Things are heating up! Is it just a coincidence Homeland Security categorizes Christians who believes in and are preparing for the Second Coming of Christ as domestic terrorists? Or should we ignore the fact the Obama Administration signed an executive order on July 1st 2016 permitting United Nations foreign forces to fire on US-Citizens on US soil? When the US Government stockpiles weapons and ammunition for domestic use as well as riot and crowd-control technologies and equipment across the nation setting up United Nation’s compounds and bases do you believe these are the actions of a well-intentioned administration looking out for the welfare of its citizens or control? Finally, let us look at the current atmosphere of unrest within these United States coupled with the fulfillment of coming prophecy suggesting the disarming of the American Citizenry is not too far over the next horizon. With Police Officers murdered in the streets and hate crimes on the rise coupled with the misreporting in the Press of racial/religious misconduct as gun violence should not Christians pay attention to the coming Storm as the Beginning of Sorrows marches towards its prophetic conclusion? As most should know, the world is at a significant level of unrest. We should know the prophetic signs of the times and prepare. The Lord is coming soon, but not before the Body of Christ must endure a two and a half year period of tribulation. Each of these elements is discussed within the pages of “This Side of the Whirlwind.” The Great Consummation is nearly upon us. When the balloon goes up the Body of Christ needs to be ready to live independent of our cities and government in order to survive in out of the way places. If the Great Consummation began today and the Mark of the Beast was implemented officially tomorrow what would you do if you did not have food, shelter or the means of providing for family and friends? Because we cannot receive the “Mark” under any circumstances your money would be history, gone up in smoke. I realize this is a rather glum outlook, but prophecy is being fulfilled and the Lord’s return is certain and not far off. Christian theory and theology are wonderful subjects but the rubber meets the road when you have to use the “Mark” to pay your rent/mortgage, purchase food, gas for your car or pay your bills or move into a wilderness environment. The time to prepare is NOW! Remember – God was still in control during the Holocaust. God will be in control during the Tribulation Period of the Great Consummation. God is in control worldwide now. No matter what, remain faithful even to the laying down of your life. One short period of suffering is not worth losing your eternal existence with Christ. During this period, Pam would often say, “The prophecy said we need to go up to the Alpine area and look for land to buy and live on.” Pam would emphasize the idea of buying land in the mountains. It was the desire of our hearts. However, having personally received the prophetic Word I knew the emphasis was strongly focused on the word “look” and not on the phrase, “buy and live.” Had I listened to those who had not received the Word of Knowledge but had merely formed an opinion on the Word then I would most likely have purchased a home near Alpine regardless of whether or not we sold our home in the Tucson area or God intended that outcome. We would not have learned the intended lesson, I think. For what it is worth, it often takes time to learn and carefully listen to a prophetic Word before one can confidently determine with any level of certainty what God is conveying or asking during a Word of Knowledge. I imagine this is why God began teaching me to hear His voice at the tender age of nine. By His sufferance, I have been hearing God’s voice for just shy of fifty years and by His mercy and grace I have ‘almost’ never been mistaken, almost. I attribute my success to God’s amazing abilities and not my own. After all, God spoke through Balaam’s donkey. How is that any different than God speaking through me or someone else? Remember, God changes not. He spoke to His people during Abraham’s day, Moses’ day, and the years of the prophets and even during Jesus’ and Paul’s lifetimes. God changes not; therefore, God speaks through His people today. I just happen to be one of many. Not my choice to hear God’s voice but it certainly is my privilege. I have very little to do with hearing God’s voice. God speaks and I listen. God does the heavy lifting. After all, God does not speak just because Steven R. Harrel calls out to Him or because I want to hear a Word of Knowledge. I have zero control. He is God and He decides. Then, when we were challenged as to the reason or reasons we did not move, regardless of how many times we explained the spoken prophecy and how God wanted Pam and I to learn a specific lesson to turn away from pine country, the people, family and friends, just could not receive what we said, rather believing we had disobeyed the Lord or were afraid to step out and move according to God’s instructions. Several times my Agnostic neighbor even mentioned this prophecy and sarcastically quipped humorously. So what is the point? When you receive a Word of Knowledge, vision or prophetic utterance from the Lord you need to be subject to that divine Word and not the opinions of your peers. Listen to their counsel but trust the Lord and His spoken Word; that is as long as it lines up with God’s written Word. Read, listen and examine the prophetic Word carefully and then bring the Word of the Lord before the Creator. It is common for those who hear from God to immediately know what the purpose or intent of the Word of Knowledge might be. After all, God knows what He meant and what He wants accomplished. Trust that the Lord can get His message or point across to you, that is unless you are dumber than Balaam’s donkey. Do not concern yourself with the opinions or ramblings of others when you have received a Word from the Lord and know fully what the intended purpose maybe. Sometimes we are informed. When we don’t know, just wait on the Lord and His will should be revealed in due season: when God is ready. When another person has received a Word for your life it must be scrutinized. It is important to seek the Lord’s will and watch for two or more witnesses or confirmations. Watch for confirmations: “… By the mouth of two or three witnesses every word shall be established” (2 Corinthians 13:1). Beware sympathetic witnesses. A sympathetic witness is when a family member or friend wants so desperately for your Word of Knowledge to be true that they unwittingly create a false witness to confirm your prophetic Word. Most often individuals do not provide a false witness to be evil or deceitful; rather, they just don’t want you to be disappointed or miss out on your blessings or Word from the Lord. A good witness comes to you independent of all other connections to the Word of Knowledge. It is no great task for the Lord to have a stranger confirm His given Word or speak the exact same prophecy or Word of Knowledge into your life. A longtime friend you have not seen or heard from in months or even years can suddenly pop by and quote God’s verbatim prophecy. He Is after all, God! Expect a miracle. He is God. Scrutinize people who speak in the name of the Lord. Search your spirit during every Word of Knowledge until God has confirmed that it was Him who spoke. However – once God has confirmed a Word – trust the Lord even with your life. Remember, Revelation 12:11 tells us that the End Times believers will overcome the wiles of the Beast/Anti-Christ by the blood of the Lamb (Jesus Christ) and by the word of their own testimony (your life in Christ). The text even declares that the Believers who live through the Tribulation Period of the Great Consummation will love the Lord their God (Jesus) more than they love their own lives. They are willing to die for their walk with Christ. Now that is overcoming to the end! This concludes the “Is Anybody Listening” series. I hope it produced a little clarity on the subject of hearing God’s voice. It was a tough Word to confirm in our lives. May God bless you and keep you and cause His face to shine upon you! The Lord instructs Pam and I to go hiking for two-weeks at which time the Lord said He would provide us with a Word of Knowledge about our future. First week of April Pam, out of the blue, declares she is ready to move out of Tucson should the Lord require such from us. Pam’s friend repeatedly mentions snowflakes during two separate conversations. God actually gives a Word of Knowledge while we are hiking in Sedona. Through a vision, a map is displayed hanging in the air where we are hiking the dusty trials of Sedona, Arizona. I reach up in the vision and circle an area on the map, an area which resembles the African continent. I also feel compelled to include the city of Snowflake, Arizona in the circle. My sister Jackie’s dream which included a conversation about Pam and I moving to Snowflake, Arizona. Note: the dream came to Jackie while we were still out of town and hiking in Sedona, Arizona, before Jackie could have known about the prophecy. Finally, Pam’s mother calls within two hours of us praying for a more solid confirmation; anything having to do with snowflakes or Snowflake, Arizona. Almost immediately after Pam answered the phone her mother mentioned Snowflake, Arizona several times. You just cannot make this stuff up. These are just the major highlights too. Segue-way: For the next two years Pam and I traveled to the Apache-Sitgreaves National Forest and surrounding areas ‘looking’ for land on which to buy and live. Talk about beautiful country, wow! During this period we began to prepare our home for sale so we could put the place on the market. We did not know “if” the Lord wanted us to sell our home; nevertheless, we wanted to put our best foot forward and putting our home on the market was one way we could do so. We concluded that if God wanted our home to sell and us to move He would sell our home in His perfect timing. If the Lord did not want us to sell our home or us to move then we would not be able to sell our home even at rock-bottom prices. Well, even at a great price our home would not be moved. Go figure? We loved the Alpine, Arizona area; however, after numerous trips we seemed no closer to purchasing a piece of property or moving to the area. We began to wonder what the Lord was doing, why did He want us to travel to this area? Then between late March and early April of 2011 we made our last trek to the Apache Sitgreaves National Forest. Prior to this trip we were consistently approaching the area with the idea the Lord wanted us to sell our home and move into the mountains; the difference this time however, was that we were now open to hearing or seeing why God was sending us up here. That night we camped in New Mexico off of Highway 32 at about 7,200 feet above sea-level. Even for the end of March – first of April, it was cold with the ambient temperature falling to approximately 15 degrees Fahrenheit, with the wind-chill dropping to somewhere much colder. Early the next morning we drove down the mountain to about the 6,000 foot level. We thought we would be much warmer, but we were wrong! Pam and I were leading a large contingent of Christians who were living in the forests in and around the Apache Sitgreaves Nation Forest. The End-times had begun and Christians were not welcome anywhere in the modern world. The weather where we camped during the dream was freezing and nearly everyone was suffering from exposure as the elements took their toll. At the forefront of the dream I saw a woman and small child; they were wrapped in one thin blanket and trembling terribly. As the dream continued, I somehow knew that everyone in our camp only possessed one very inadequate blanket, and as I looked at the woman and child I connected the child with our own little grandchildren. I sat across from the mother and child knowing there was nothing I could do and realized it was our fault these people were suffering and now dying. In the dream, Pam and I both knew we were at fault because everyone had followed us to this location trusting our knowledge and leading of the Lord. This group of dying people had joined Pam and I so they could survive the Tribulation Period and we had led them to this elevation during the winter without preparing in advance adequate clothing or supplies. At that moment I knew we could not, would not be able to purchase land at such a high elevation regardless of how much Pam and I truly wanted to live in pine country. After waking from the dream I lay there considering all the implications. I suddenly noticed Pam rousing but didn’t pickup on the fact she had been laying there crying. Later she told me she had been thinking about the same basic issues and weeping over it all. A few hours later I got up and went outside to pray and think. During this period the Lord began to show me His reasons for giving me the vision and Word of Knowledge. The Lord said He had given me the Word, “I want you to go up there and look for land on which to buy and live” because we needed to learn this lesson. Then the Lord said He was tempering our desire to live in that environment, pine country. Not completely, but enough so we would look elsewhere and not always be looking to the mountains and longing for the pine treed forests and landscapes. Years earlier when I had passionately wanted to get out of Tucson and its heat, the Lord pointed out that the first place I headed for was the pine treed mountains of Flagstaff, Arizona. The Lord explained that if He did not remove some of our desire to live in the mountain environment Pam and I would always gravitate to the mountains. This is not God’s will for our lives or His plan for where He wants Pam and me. God has a better plan and we can trust Him completely. It is not always easy to obey the Lord, but He is always right and it is always best. Trust in the Lord with all of your heart and lean not on your own understanding (Proverbs 3:5 NKJV). You know, we are living in the Latter Days near the beginning of the Great Consummation. We are living in the Beginning of Sorrows and time is short. My book, “This Side of the Whirlwind” confirms these truths. Get the book and learn what you are up against. Time is short. As I wrote earlier, Pam and I both felt that the two letters, the prophetic Word I received in Sedona and the dream Jackie received was not enough to move on regardless of the fact both contained references to Pam and I potentially moving and Snowflake, Arizona. For this reason, it was decided we needed at least one more confirmation before calling what I heard and saw a Word from God. We were privy to other bits of information we thought potentially too minor; therefore, we still needed something more solid. We needed a real confirmation. Sunday, May 24th 2009 Pam and I sit down to pray, asking the Lord for another confirmation. Shortly, within less than two hours of prayer we receive a call from Pam’s mother, Sandy. Sandy dives in, sharing about Jim C. a longtime friend of Pam’s father, Bob. It seemed Jim had come to Tucson on business and decided to visit Bob at home for the first time in years. Generally, Bob and Jim would connect over work or play but seldom if ever connected at one another’s homes. This was unusual. Pam casually sat listening to her mother’s daily news blast when Sandy suddenly began laboring over Jim’s ranch in Snowflake Arizona; Jim’s cattle in Snowflake Arizona; Jim’s crops in Snowflake Arizona. We had known Jim for decades without once ever discussing Jim’s ranching business or interest in Snowflake, Arizona. Suddenly his ranch is the most fascinating topic of discussion between Pam and her mother. That was it! Pam recognized the connection immediately after hearing her mother say the word snowflake; I on the other hand could only hear Pam repeating the word snowflake in their conversation. Kim’s two conversations about snowflakes in late April. Jackie’s dream mentioning Pam and I moving to Snowflake, Arizona. The Word I received from the Lord in Sedona showing Snowflake on the map north of the Blue Range Primitive Area and feeling compelled to include it in the circle during the vision. And out of the blue, the Lord sends Jim C. to Tucson to visit Bob so Sandy could mention his ranch in Snowflake Arizona half a dozen time in one short conversation over the phone. What are the odds the words “Snowflake Arizona” would come up in conversation in Tucson Arizona in the heat of summer at just the right time to confirm a prophetic Word containing the word, snowflake? We agreed with the idea the Word of Knowledge in Sedona, Arizona was from the Lord. Therefore, Pam and I would begin the adventure by going up to the areas in and around the Apache Sitgreaves National Forest and down through the Blue Range Primitive Area to ‘look’ for land in which to buy and live. This is where the confusion begins. Remember, the Lord said, “I want you to go up there (referring to the area on the map in the vision) and look for land on which to buy and live.” And this after sending Pam and I on a two-week hiking trip to receive a Word from the Lord. Holy confusion Batman, what are we going to do next? “Golly gee Batman, if that’s what you think we should do?” Robin quips. “Who’s this Steven R. Harrel?” Robin asks. Imagine not knowing Steven R. Harrel. That’s rich! It’s the guy in the picture below. No the other guy in the other picture. For nearly two weeks Pam and I enjoyed the great outdoors. We hiked the forests of Flagstaff, Arizona, the Mogollon Rim and White Mountains. We then scrambled over the squat hills of Picacho Peak and the rock giants of Mount Lemon standing outside of Tucson, Arizona. It was not however until we trekked over the red rises, copper soil or dusty scrubs of Sedona, Arizona that I finally heard the Lord speak the Word of Knowledge He sent Pam and me into the wilderness to hear. Pam had stopped up ahead. She knew me well enough to know something was up which was likely the Lord speaking to me. I shared everything I had seen and heard with my best-friend, Pam. We continued hiking and discussing what the Lord had shown me until our two week hiking trip was over. What a great adventure. Thanks Lord! On Thursday, about a week later on May 21st, we invited our niece Katie, who stayed the night. She was twelve and liked sleepovers. The next day when my sister Jackie stopped by to pick Katie up we visited for a short while. During our varied subjects and conversations I mentioned a year’s supply of general foods and staples we had just purchased in case the End Times were to kick off in the not too distant future. Little did I know this subject would spark Jackie’s memory of a dream she had only a few days prior. Because Jackie’s dream seemed pertinent I asked her to briefly write down her dream so I could compare her dream with the prophetic word I’d received. I did-not tell Jackie any of the details from the Prophetic Word I had received a week earlier. I did not want to taint the memory of her dream in the slightest; Sunday, two days later she dropped off the synopsis of her dream. After marveling at the similarities, between Jackie’s dream and my Word from the Lord I called my sister and asked her to immediately and in greater detail render her dream as accurately as possible. Here is Jackie’s dream to the best of her remembrance, and before she heard or read the prophetic Word the Lord had given me. A first person view of Jackie’s dream. In my (Jackie’s) dream, we were at an indoor gathering sitting at a long table covered in a white tablecloth with Pam on one side of the table and me on the other and we were talking. Jesse and Steve were also at the gathering standing a few feet over and to the right of me and behind and to the left of Pam. Pam said, “Boy it sure has been a while since we’ve seen each other”. Pam said, “now that the kids are grown, there may be some changes. As you know, Steve’s been doing a study on the end times for a while and I have been studying with him. And now that the kids are grown-up and Aaron and Stephanie are moving to Colorado, Steve and I feel God is leading us to sell the house and buy some land. We have made and offer for some land somewhere around Snowflake, You know at one time Steve was interested in Forestry and he would like to work the land and prepare a place for the family because the end times are coming and we are seeing the prophecies being fulfilled even now. Pam turned in her seat while saying to me, “Now sis”. Steve and Pam started bickering a little bit. Something was said about being in the mountains. After hearing Steve and Pam argue for a bit, I wasn’t upset any longer. This dream took place before Jackie, Pam or I knew anything about the Word from the Lord received in Sedona. We did not have previous plans to move into a forested or wilderness area. I wrote these exact words in a short letter and then sealed the letter. I had not received a confirmation at this time. Maybe a word from the Lord? I said maybe a Word because I wasn’t sure. I’ve placed this in a sealed envelope until I receive a conformation. During the two-week hiking trip the Lord sent us on, I believe the Lord showed me an Africa shaped section on a map and told me to start checking for out-of-the-way property to purchase and live on in the near future. I got the distinct impression I was supposed to look for the land in the Blue-Range primitive area= (BRPA), middle Arizona and maybe even some of Northern Arizona. Pam and I read both Jackie’s dream and the prophetic word in the sealed envelope. We were both impressed by the string of events and the implication of it all; however, we both felt and agreed it wasn’t enough to move on and decided we needed at least one more confirmation before calling it a Word from God. Still a little weak. This is the middle of a complex prophecy. We were not sure about many things until everything came together. Sometimes God sews a great canvas and sometimes a minimal canvas. We call this one the: “Go up there and look for land on which to buy and live,” prophecy. There is still much to perceive. Hang in there and determine for yourself if we were hearing from God! Be bold, be strong, for the Lord thy God is with thee — the music plays fast and spunky. Hey, do people still say spunky? I don’t think so. Let me know what your current thoughts are. Oh yeah, and get your copy of This Side of the Whirlwind. I know, a little self serving. But not, seeing how every Christian and secular person alike needs this book before the Lord returns and that is happening fairly soon. No joke! So get this message for the end of the world as we know it before it is the end of the world as we know it. This Side of the Whirlwind: Is Anybody Listening? In the spring of 2009 the Lord spoke once again instructing my wife Pam and I to prepare for a wilderness journey of two weeks. A hiking trip, yippee! I love hiking. Eventually, the journey led us to Sedona, Arizona, the land of the red hills. Most often, when Christians speak of a wilderness journey they are generally referring to a period in the Believer’s life where God uses life to bring that individual through an important life-lesson relative to their walk with God: faith, finances, marriage, patience, faithfulness, longsuffering, prayer-life etc. This time, such was not the case. Fun, fun, fun… God instructed me to take Pam and literally head out and into the wilderness where He said He would give us a Word for/about our future. Fortunately, Pam was able to get the time off work for the coming two-week excursion. As is God’s way, He arranged the time and provided the financial resources for the entire trip. God is so cool! So, what I am about to do is show you how God laid a foundation for a coming prophecy. A series of witnesses and confirmations which changed our lives, confirmed God’s Word and gave Pam and I direction. This did not however fulfill the “It’s Coming” prophecy I had been hearing for months. For years Pam has loved living in Tucson surrounded by family and friends; then out of the blue that April day Pam says, “I think I’d be okay with moving out of Tucson now.” Previously, Pam had made it clear on numerous occasions she did not want to move out of Tucson; especially, not until our parents left this mortal-coil and joined the Lord. In the third week of April 2009, Pam sat on the phone with her friend Kim. Kim and her husband recently moved from Arizona to northern Idaho and were enjoying the dramatic differences in climate. During their extended conversation Kim shared with Pam how beautiful and similar a group of snowflakes looked as they silently melted on her car’s windshield. A few days later they spoke again and Kim once again marveled at how distinctly dissimilar and yet beautiful another group of snowflakes were as they melted on her car’s windshield. Though seemingly insignificant Pam felt their conversation regarding the snowflakes had to possess some type of spiritual significance. This was not a normal assumption for Pam. If anything, Pam has been consistently skeptical about anything spiritual, feelings or otherwise. Pam was so impacted by their conversation that she actually mentioned their dialogue about the snowflakes and how Kim had gone on about the snowflakes on her car. As usual, when something appears spiritually significant but we cannot put a finger on it, we place the subject on the proverbial back burner and wait on the Lord. We’ll touch on the fulfillment of this prophetic Word in the next blog. Three weeks later during our hiking excursion I received a Word of Knowledge just as the Lord had said. Unfortunately, if the Word of Knowledge was wrong and we handled it incorrectly this prophetic Word could upset family and friends. For this reason, Pam and I agreed that we should keep it quiet until the Lord had confirmed His Word on no less than two occasions. I said to Pam, “Sweetheart, I don’t think we should tell anyone in the family about this Word until it has been confirmed or proven wrong. Let’s just keep it to ourselves for now. Okay?” She agreed whole-heartedly. There were also the instructions God had given me previously about remaining in Tucson and in our current home until the Lord Himself instructed us otherwise. For that, I requested at least three confirmations from the Lord. Pam paused and thought for a few minutes about the significance of the question and then said, “Yes.” Several weeks later, Pam told me she felt this was a significant moment in her life. Pam told me she felt the Lord heard her commitment and believed it wasn’t just a casual moment in time. Pam also said she believes God met her at that place on the mountain in her walk with Him and accepted her genuine commitment. Over the next few weeks and months I watched as something truly changed about Pam’s disposition in the Lord. Only a few months earlier and Pam wouldn’t have been willing to take up stakes and move at a moment’s notice. Yet today, if the Lord leads, I believe she would willingly leave everything behind and follow the Lord wherever He led. We will continue from here in the next blog. Don’t touch that dial! Today we are going to start at the beginning of the end of the story and see what you make of it. In “This Side of the Whirlwind: Hearing God’s Voice” we looked at how people learn to first hear God’s voice and then determine if it is in fact God who is speaking or just the individual. I realized I sort of dropped the ball in the first “Hearing God’s Voice” blog by getting rushed and not fully finishing pertinent thoughts. So let me finish my thoughts before we proceed. Thanks! To accurately hear God’s voice is important; however, to accurately deliver God’s spoken message to another actually carries a greater level of significance and burden. Hearing God’s voice is only a small portion of a prophet’s responsibility and process. Once we have heard His beautiful voice we need to fully embrace God’s exact wording. When possible, we need to stop what we are doing and just absorb every nuance about our encounter with the Creator. Getting the words exact is often tantamount to successfully giving a Word of Knowledge. On other occasions we simply need to repeat God’s words, vision or concept to the person or persons intended to receive God’s Word. These are generally fairly straight forward. There are also occasions when action is required or steps need to be taken before another phase within the Word of Knowledge or Prophetic Word can be implemented, received or fulfilled. Remember, Abram was told he needed to leave his country, his father’s house and journey to Canaan before God would make a great nation through Abram and bless all the peoples of the earth through his seed. Before Abram became Abraham he had to listen to God’s Word, act on each piece of his instructions and then complete the spirit and letter of the given prophecy. And he did, and here we are. Yeah! It has taken me a lifetime to effectively hear and act on listening to God’s voice. In many ways, hearing God is almost like learning a separate language. In the next blog I will share a prophecy God provided Pam and me which has come to be problematic in our lives. The trouble stems from a phrase the Lord used when He poured His Word into my spirit and mind. God used this phrasing issue to teach Pam the significance of looking carefully at God’s exact words. It can change everything if you do not pay attention. Funny, it seemed then and seems to me today to be such a straightforward issue, and yet, I have had much too much trouble getting others to understand what the Lord showed me that day and in the days that followed.